Think of us as digital craftsmen. We navigate the most complex business problems to design and build digital solutions of high utility for the brands and applications. 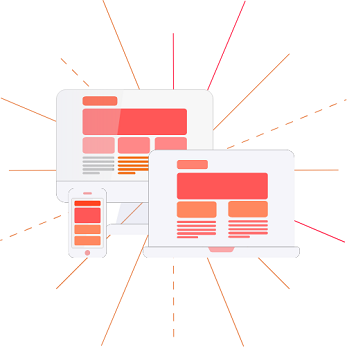 Web and Mobile applications have evolved into dynamic, complex platforms. They require a sophisticated blend of interaction design, information architecture and content strategy. And our multi-disciplinary UI Design team has just the right mix and skill-sets to make it happen. A right UI Design (read User Interface Design) can bring your site more conversions. Our UI Design methodology involves the user as the central stakeholder throughout the creation process, making certain that your applications and products are both usable and useful. We partner with stakeholders to conceptualize their ideas. Based on the concepts, we produce wire-frames, visual designs, interactive prototypes, and then test the designs. We iterate until the design meets business goals as well as user goals. User Interface designers at Nexia creates experiences to fulfill the need of a system that spans a user base from those with little technical knowledge to expert users. We deliver unique UX/UI design experiences for applications irrespective of whether it is for mobile, web or tablets.